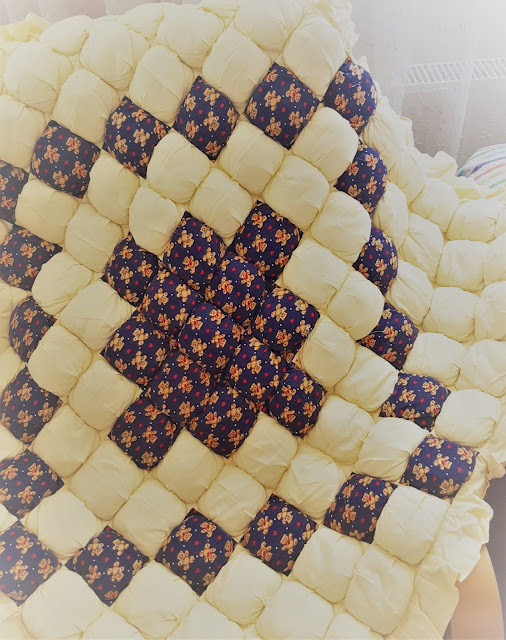 Puff quilts also known as biscuit quilts are easy to make ,even for beginners. 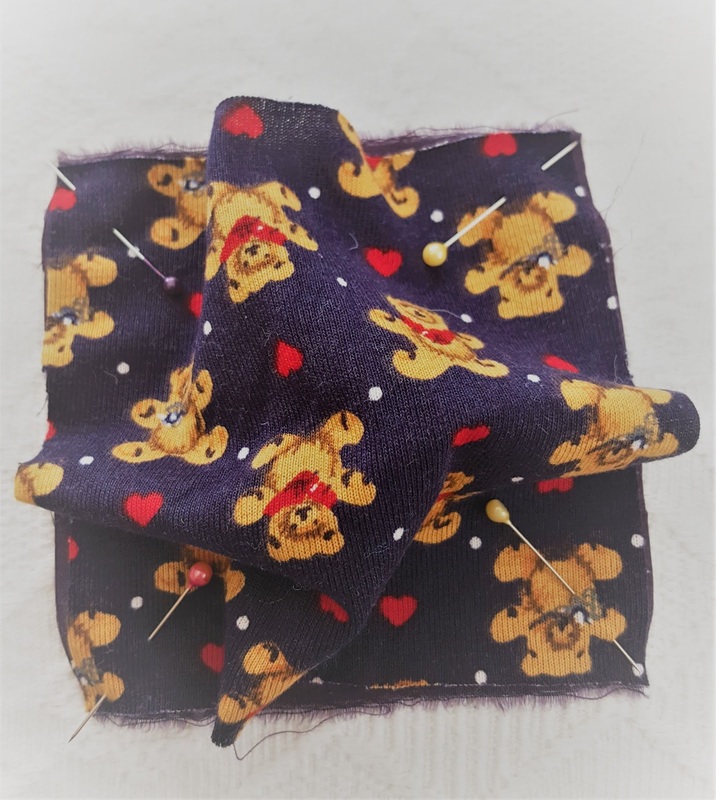 The idea is that you make individual stuffed squares from fabric and sew the squares together. You can make varied designs; it depends on your creativity and colour choice. 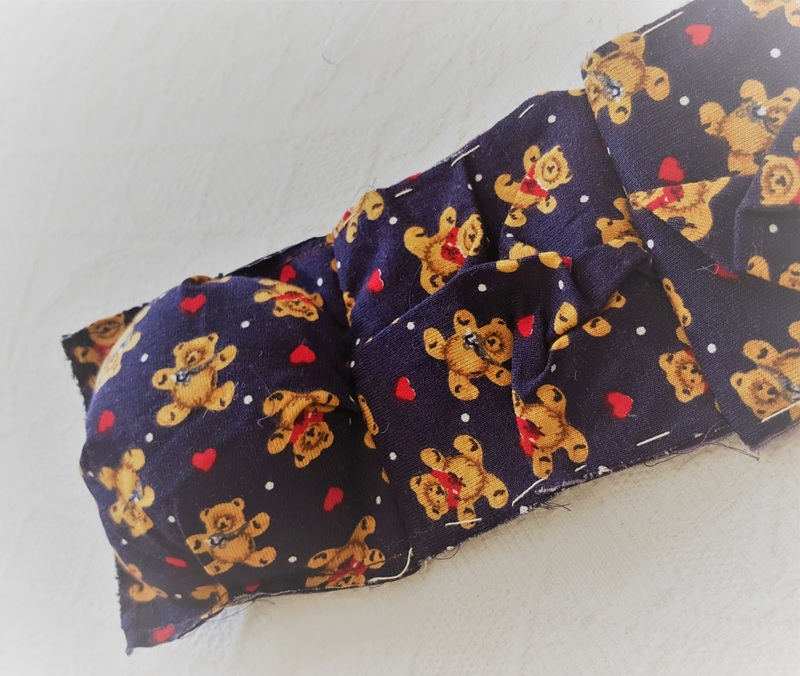 These puff quilts are awesome not only to use but also to see them around. I find them so cute. 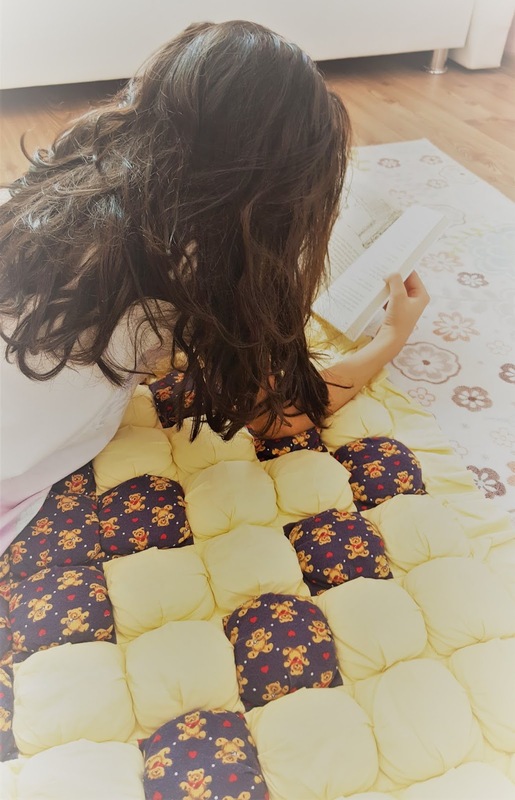 I made this puff quilt for my daughter ten years ago but it is still in use and in good condition. 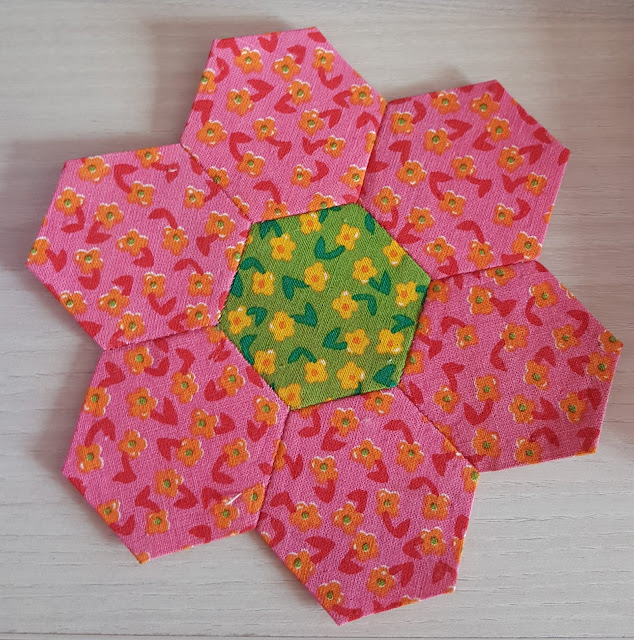 Actually you may find it a bit heavy as a baby quilt but whatsmore, you can use it as a playmat also. My daughter, who is ten years old now, likes lying and reading books on it. So today’s mission is to give a brief explanation of how to make puff quilt. Here we go! 1- You will need two squares to make a bubble. The top square will be 5” and the base square will be 4”. 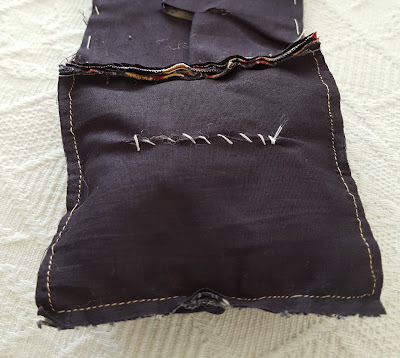 The base square won’t be seen so you can use any old fabric. In order to make this puff baby quilt, you will need to 121 stuffed squares to make. The finished baby quilt measures 36”X36” (11 puffs by 11 puffs). You can make either bigger or a smaller one than this. 2- Once you cut the squares, you need top pin them together; one 4” and one 5”. Pin the small square to the big square-wrong sides facing together- . Continue pinning each corner together. 3- Now it is time to make the pleats. 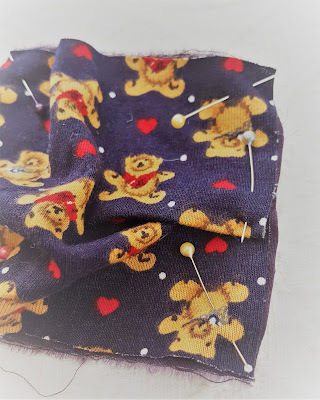 Pinch the fabric up between the two corners, fold it down and pin it in place, as in the picture. Repeat the process on all four sides. 4 - Sew the whole square of the four corners. 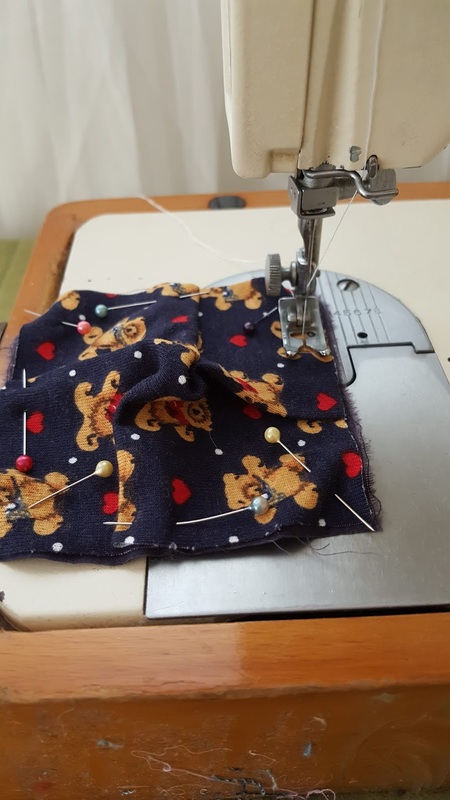 You sew all of the squares in the same way. 5- Now you need to piece the top of the quilt together. 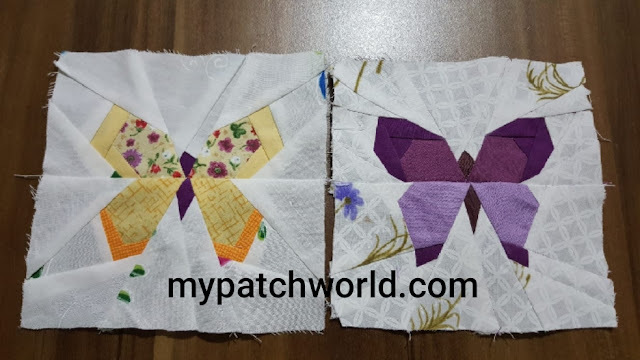 Take two squares and lay them right sides together. 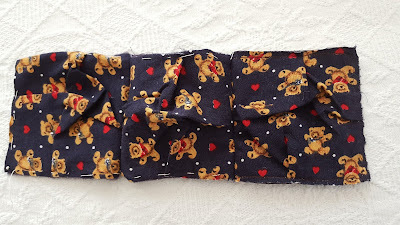 Sew them together using ¼” seam allowance. You sew them raw by raw. Before sewing raws, pin them together so that you keep the squares in place. 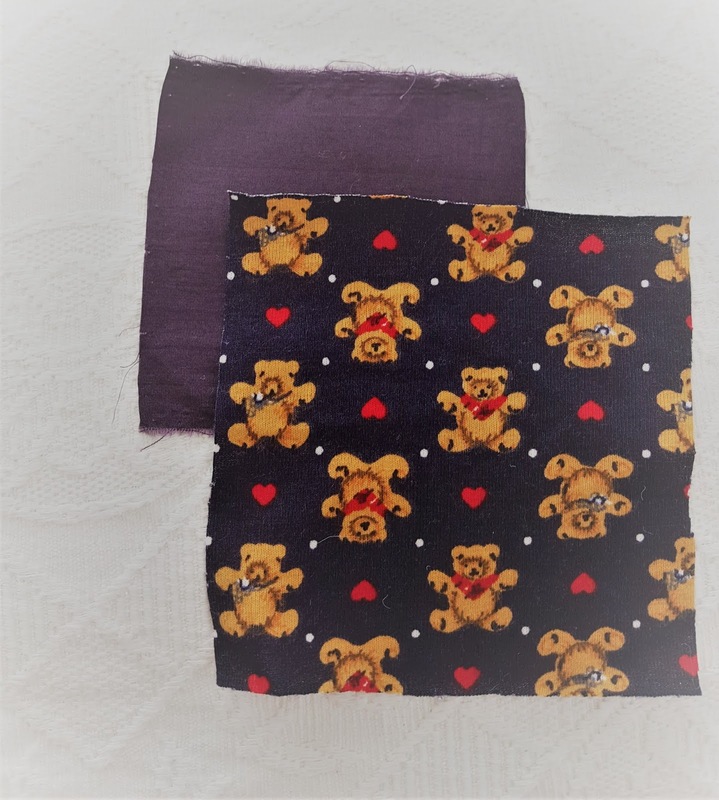 6 -After you finish sewing, turn the top wrong side up and pinch up the bottom square fabric and cut a slit in the bottom square fabric. This is the place where you will fill the squares. You stuff and then hand sew the slit. You make this for each of the squares. 7- For backing, cut out you backing fabric and place it on the right side of the top. Sew all around the quilt except a 5” . This is where you will turn the right side of the quilt. 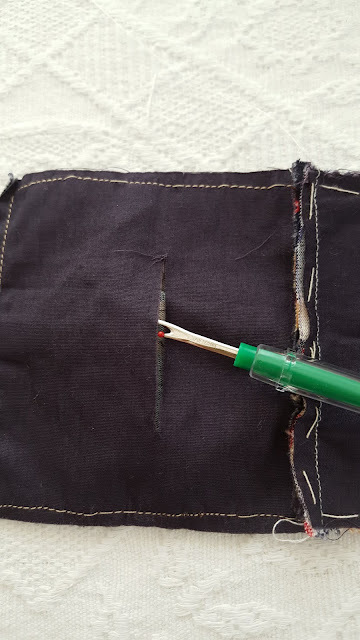 Hand stitch the opening. 8- The last step is the binding. I made ruffle. You can make ruffle or use a ribbon for binding. It’s finished. 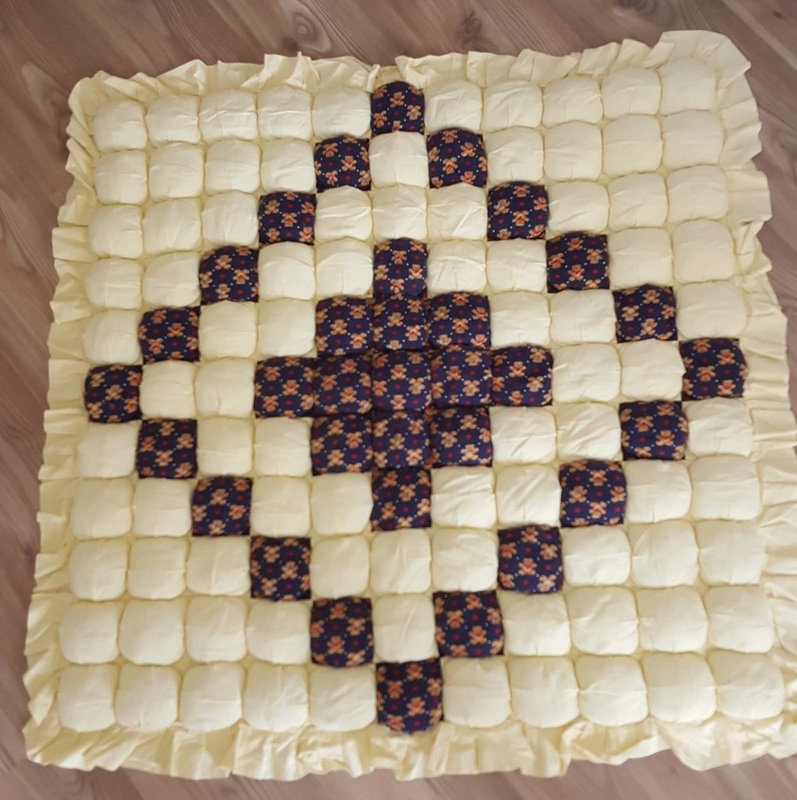 Enjoy your puff quilt. Is this tutorial useful for you? Please let me know. What is the stuffing you use????????????????? Two questions: 1) Do you tack the back to the front in the corners of the bubbles? 2) I would like to make it bigger. What is the "finished" measurement of the bubble so I can figure out how many rows and columns I need? The finished size of each bubble is 4". For your first question; do you mean after we finish the whole quilt or do you ask for each individual bubble? If it iş for each bubble: while sewing the back and front, you pin the back and front fabric together before sewing. If you are asking for the backing, we sew all around the four sides of the quilt. I hope this will help.